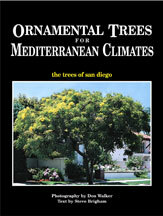 Text by Steve Brigham, photos by Don Walker; second edition, published by the San Diego Horticultural Society, 2005. This is the first hardbound, full-color book to showcase 260 of the most beautiful trees of the San Diego area, with detailed descriptions and cultivation tips. Up to three color photos illustrate each tree, including close-ups of flowers, bark, fruit and leaves. An easy-to-use color chart shows which trees are in bloom each month of the year. All the trees were photographed in garden settings, with over 500 gorgeous images by Don Walker, founder of the San Diego Horticultural Society. The text is by horticulturist Steve Brigham, former owner of Buena Creek Gardens. This important and lavishly-illustrated book is published by the San Diego Horticultural Society. It is sure to be a wonderful addition to your library, a great gift, and a perfect souvenir for visitors to this area. Purchase several and donate one to your local public library or school, too. Personalized name tag with SDHS logo. 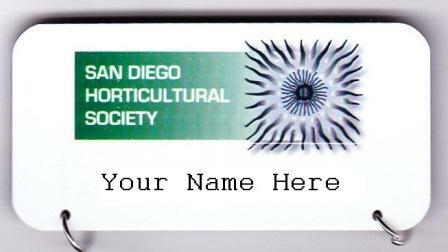 Pick up name tag at the next general meeting. 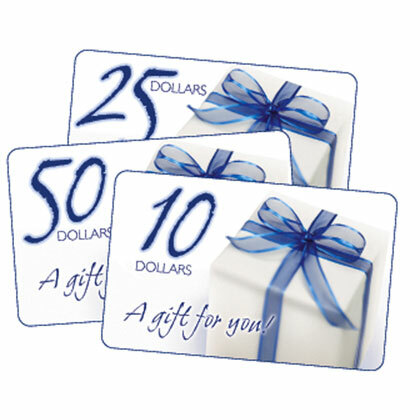 Give the gift of membership, a great idea for any occasion.